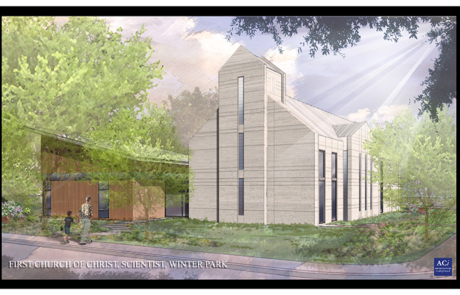 Nestled in the heart of downtown Winter Park, Florida, on the corners of New York and Whipple Avenue, First Church of Christ, Scientist is a community church with deep local roots that in recent years was confronting a deteriorating facility. 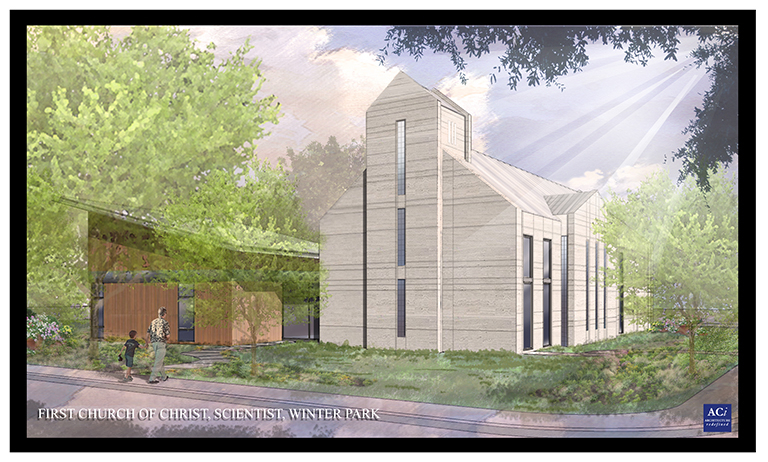 With a continued desire to thrive and serve, the congregation decided to seek the best option to remain a vibrant piece of the Winter Park community. ACi Architects was approached by the congregation to provide comprehensive real estate development advisory services that led to redevelopment schemes ranging from simple interior renovation all the way to completely re-developing the entire block. 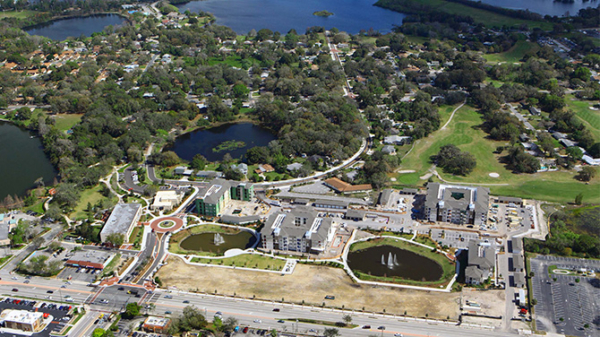 ACi created a unique interactive process of visioning refinement, market research, financial modeling and consensus-building with the Church and City of Winter Park. 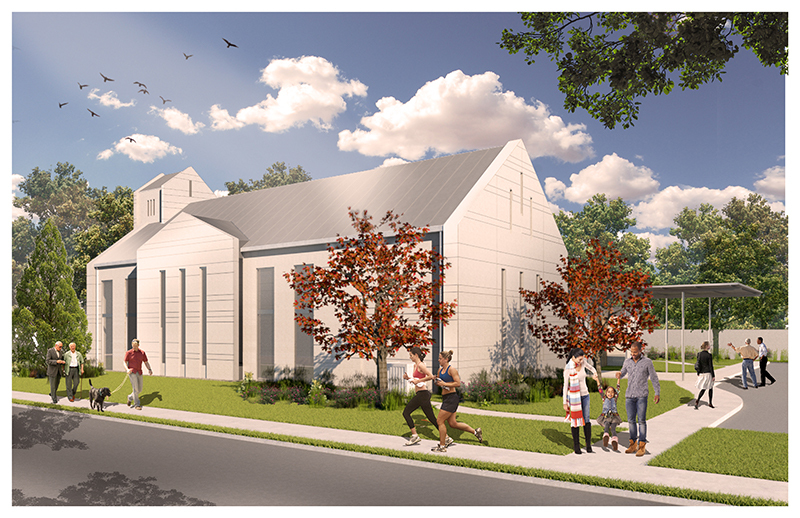 The Church and City aligned with the option to construct a new church on the southern portion on the block, while selling the northern portion of the block to be developed as a set of residential townhomes. This option provided an ideal solution to maximize commercial-retail northern Park Avenue city blocks with walkable downtown homes. This also satisfied the fiscal, social, architectural, and spiritual outcomes the church needed to achieve. 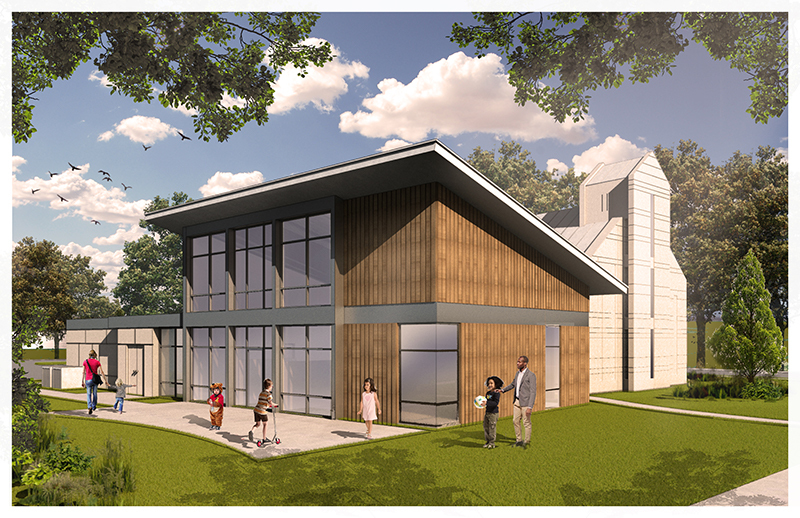 This unique process produced a market value of the residential development portion to a developer far exceeding the Church’s expectations. 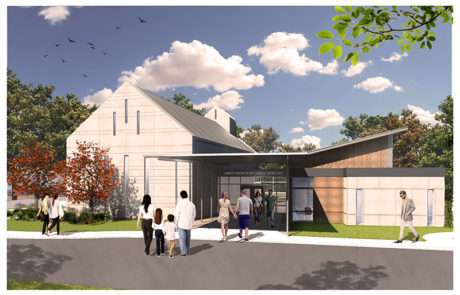 ACi’s design also received unanimous approvals at the City Planning/Zoning and City Commission. 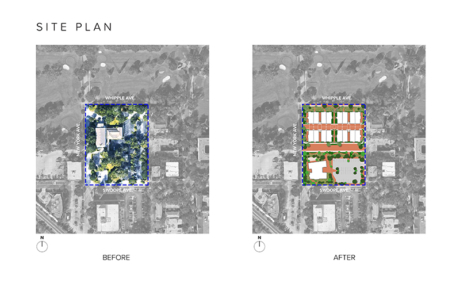 ACi designed the residential portion of the block with private gardens and pedestrian pathways for each of the three-storied 3,000 square foot townhomes. 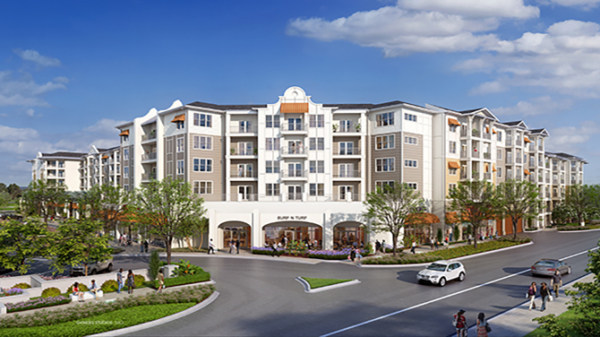 A California-Mission style was selected to relate to the surrounding historical residential context and scale of Winter Park. 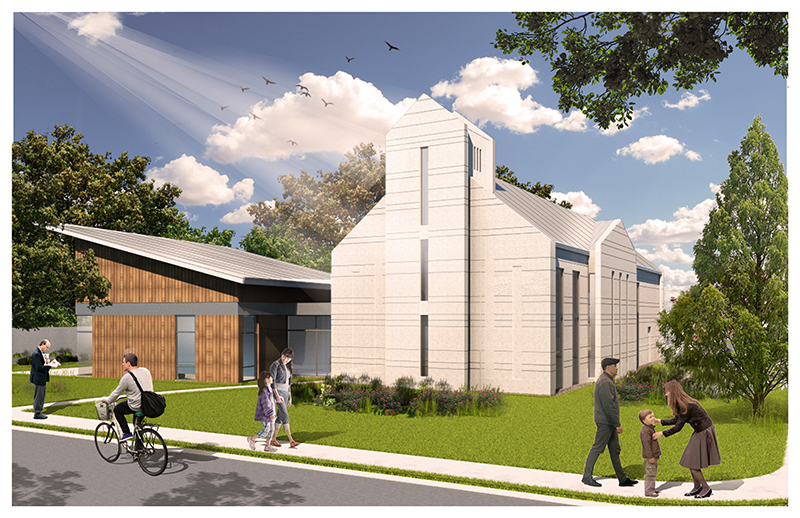 In regards to the southern portion of the block, the new church will be a 6,500 square foot space housing a Sanctuary Hall, Sunday School, and Administration. 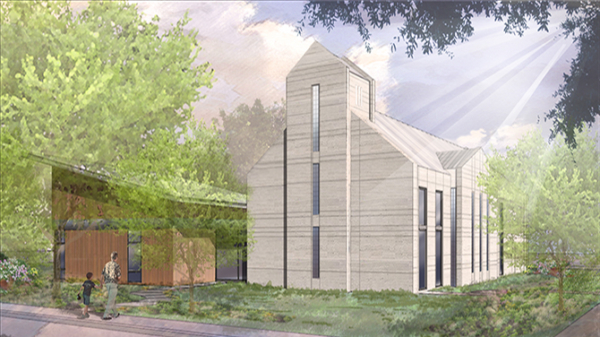 A modern approach while rooted in ritual and traditional values influenced the aesthetical elements and overall form of the church.